This lovely Lemania HS9 came in as a non runner recently for a spot of fettling and a service. 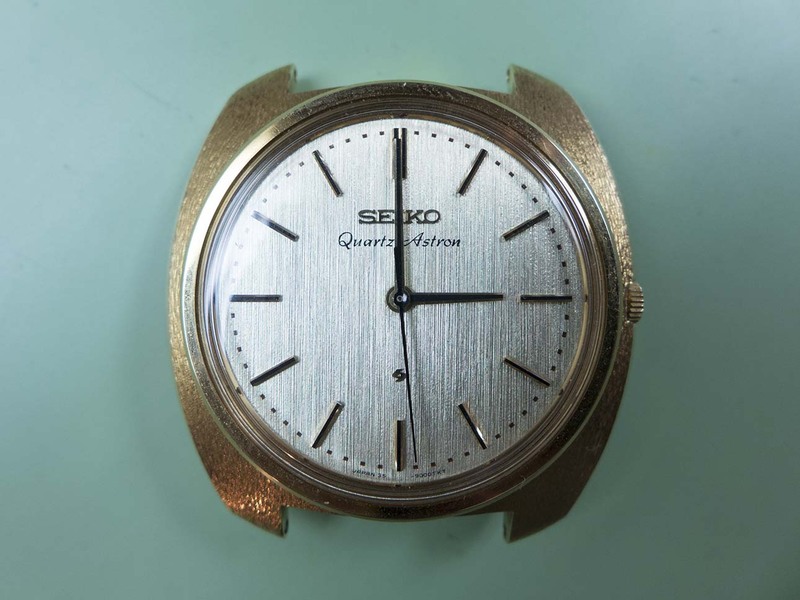 These models are known as the HS9 after the engraving on the caseback. HS stands for Hydrographic Supplies (or Services), a government organisation tasked with the procurement of timepieces (and other devices) for the Navy. 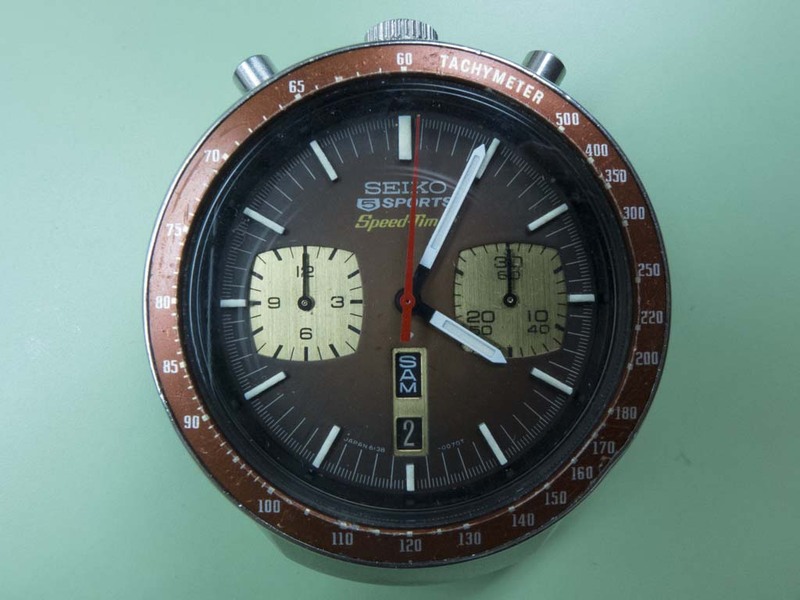 The 9 is the number of the specification that this watch was made to meet which was a wrist chronograph. Specifications 1 to 8 included normal wristwatches, deck chronometers, pocket watches and so forth. So this model is made for the UK government for issue to the Royal Navy Fleet Air Arm. 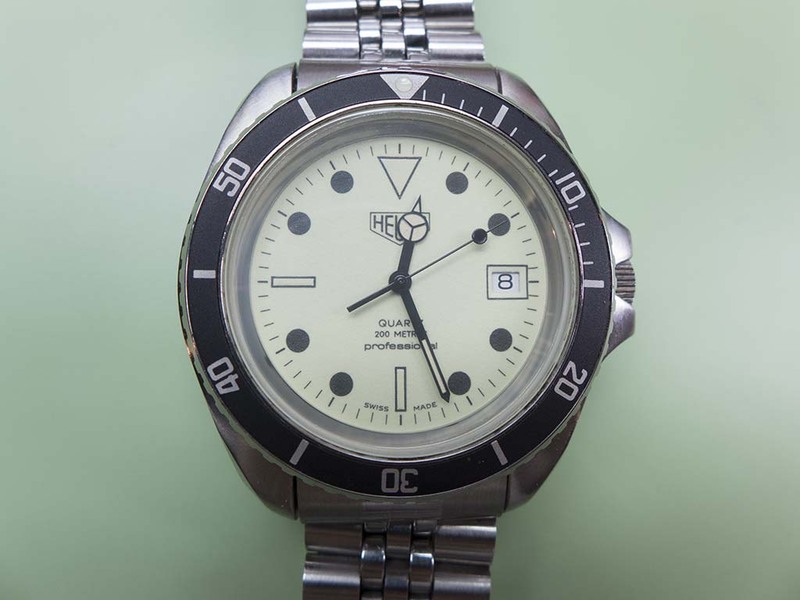 This one is a silver dialled example but they did come issued with a white dial (with no luminous compound) for use on nuclear submarines and black dialed ones were issued to the RAF. 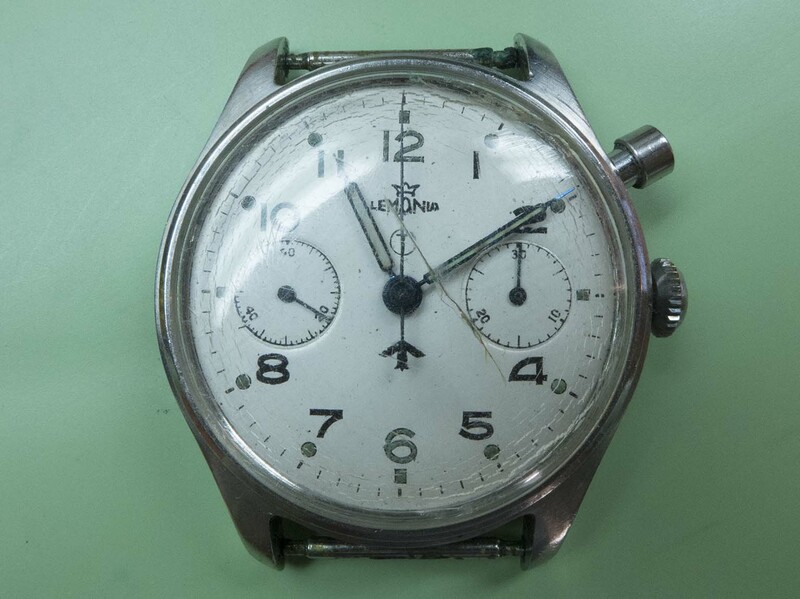 These Lemania models were supplied to many armed forces the world over and are one of the nicest issued military watches in my opinion. It’s powered by the beautiful manual wind, 18,000bpm Lemania 15CHT movement. The dial has everything going for it, it’s Lemania signed with the company logo above, below that is the T – circle logo indicating the luminous compound is tritium based (rather than earlier radium), it has the broad arrow above the 6 denoting it was government property and it doesn’t have the long dash of luminous compound at the six o’clock marker which is sometimes seen. The crown isn’t the original but the style does suit the watch so it’s not too big a deal. 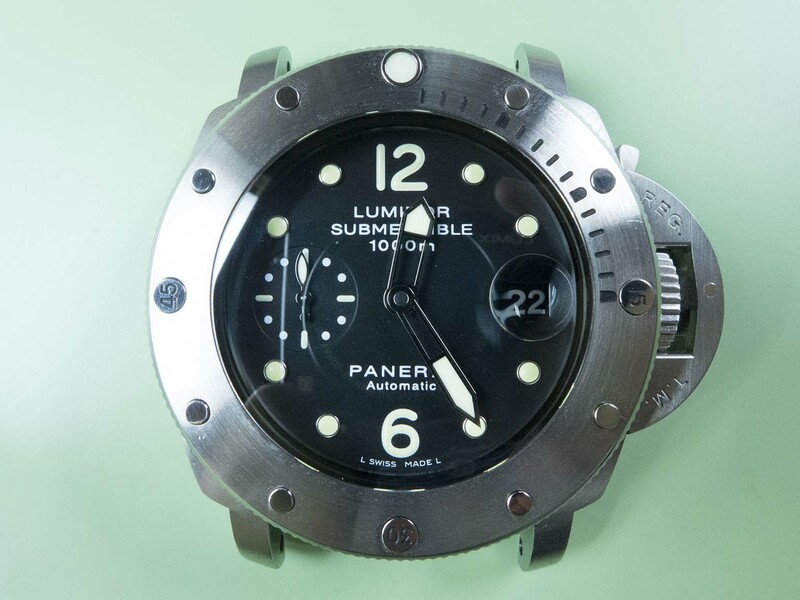 This Panerai Luminor Submersible ref PAM 243 came in recently for a service and I thought it would make a good subject to post about simply due to the fact that it uses the calibre OP III movement which is based on the venerable Valjoux 7750 chronograph. Happy new year everybody – the start of another one! Well 2016 is now behind us, thank goodness, it wasn’t a particularly good year on a personal level with accidents, deaths in the family and one thing and another. Unfortunately all this impacted quite severely on my ability to keep this blog updated on a regular basis. Having said that the work has been coming in thick and fast all year so I thought I’d show a little of what’s been across the bench to try and make up for the lack of updates. 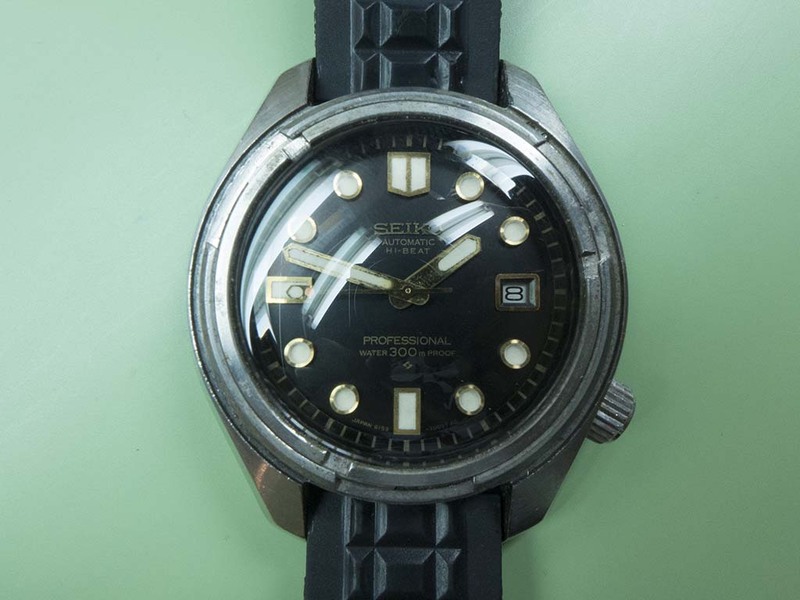 I’ve seen quite a lot of vintage Seiko exotica on the bench last year including some early 6159-7000’s. Hello everyone! To start with, apologies for the lack of updates over the past few months but it’s been very hectic here. I’ve been working seven days a week to try and keep on top of the work queue! Anyway I thought I’d do a little informational post on something I see on a regular basis and that’s misaligned 6138/9 sweep hands. The bullhead pictured below came in for a movement service but as you can see the sweep hand consistently resets to the 1 second past position which means it’s been fitted incorrectly. This quartz Heuer came in recently for a movement service. I see quite a few variants of these across the bench but rarely with a full glow dial, and rarely one in such cracking condition as this example. The rotating bezels on these usually are a lot more worn than this one is and dials can so easily become damaged by dead battery cells that have burst inside the watch. This one really is a rare survivor in such great condition! 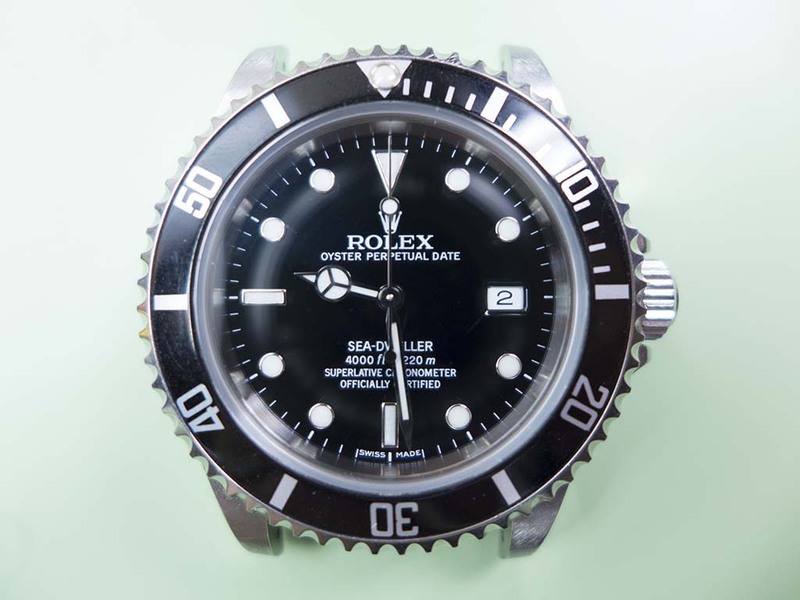 The dial is actually phosphorescent as opposed to lume and the advertising of the time marketed them as “Night diver” watches. The dial will glow for 10 minutes after a 10 second “charge” under a strong light. This model also came in a black case (980.031) and a ladies sized black case (980.030). Powered by the ESA 536.121 quartz movement, it makes it a rock solid reliable performer.